Welcome to the research page for the UWM College of Engineering & Applied Science. Please explore this webpage to learn about research activities and capabilities, and the impact that our faculty and students are making to advance engineering and sciences and to contribute to the economical and technological development of the region and the world. 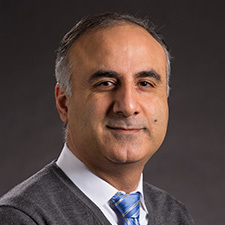 responsible for providing leadership to advance research at the college by developing and implementing research plans, strengthening existing and establishing new research centers and institutes, identifying extramural research opportunities, creating and supporting collaborative research programs within and outside college, providing faculty and student training and supporting and expanding undergraduate research. As a prominent research institution in the main Wisconsin population center, our faculty are conducting cutting-edge research to contribute to scholarly activities, advancing the body of knowledge and economical development of Southeastern Wisconsin through industrial collaborations and promoting entrepreneurship. Among many examples are our advanced research programs in freshwater sciences and environment, NSF Center for Water Equipment and Policy, sustainable energy systems, Johnson Controls sponsored Center for Energy Storage Research, biomedical and biomechanics, GE sponsored Advanced Computational Imaging Center, advanced manufacturing and advanced materials. We cultivate entrepreneurship in our students through product realization course (72 projects from 29 companies over the past five years), undergraduate research (about 40 engineering students per year) and Student Startup Challenge ($10K funding, assistance with launching a business and mentoring). The College of Engineering & Applied Science is serving the community and the nation with strong commitment in advancing research in our state-of-the-art research facilities. In addition to exploring the information provided in this page, I invite you to drop by the college to meet with the Associate Dean of Research and research office staff.